I must admit, I am a bit of a fan of Hotel Chocolat and have been for a while. This British chocolatier that was set up 20 years ago, produce luxury chocolates with a sense of fun and an ethical conscious. Did you know they help support cocoa growing communities in Saint Lucia and Ghana? What I also love about the brand is that their presentation and packaging are spot on. I do admit, I let out a little squeal when this was delivered by the postman. The ribbon and bow added some class to the gift bag and the card was a lovely finishing touch. Inside the bag was a gorgeous box with the You Crack Me Up egg. This extra thick egg is sure to make you smile with its 12 smiley face chocolates and happy chicks. The thick milk chocolate egg is edged with white chocolate. This smooth, creamy mellow chocolate egg melts on your tongue and taste little a little piece of heaven. I enlisted the aid of my son and husband to test the chocolate out - well I think if I hadn't they would have never spoken to me again! I made notes on a number of the chocolates before they were scoffed by the family, unfortunately I didn't get to try them all - but that is a recommendation in it's own right! The milk chocolate chick had a simple mellow chocolate taste that was very satisfying and yummy. The milk chocolate bunny was a favourite. The creamy milk chocolate had a hint of caramel running though and was simply delicious - a very luxurious tasty chocolate. Another favourite was the milk chocolate square with the white chocolate fried egg. It had a hard shell and inside was sweet toffee and a praline cream. The crunch of the milk chocolate shell and the dreaminess of the toffee and praline was a taste sensation. 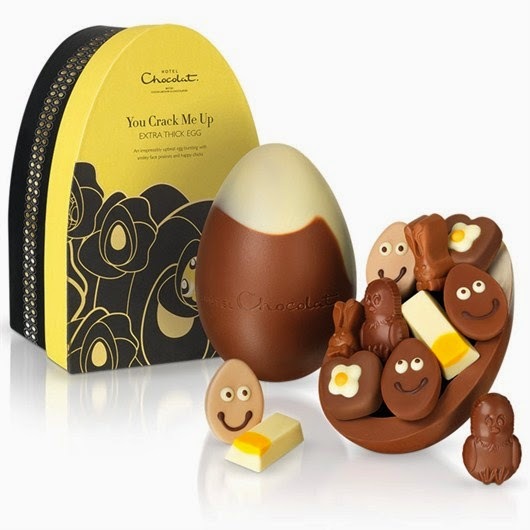 The You Crack Me Up egg is available in the run up to Easter from Hotel Chocolat priced at £28. It isn't cheap but it's certainly worth it to spoil that special someone. Hotel Chocolat have a range of Easter Eggs and Mother's Day gifts on their website with a range of prices. As always the quality shines out in their products and I feel you pay for quality in this day and age. 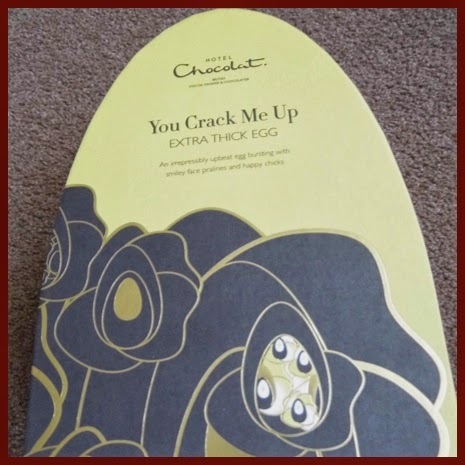 Tell me have you tried Hotel Chocolat's Easter eggs or other delights? Oh wow this looks amazing - look how thick that chocolate is! It is amazingly thick but the chocolates inside are the true stand outs here. Totally delicious. They have fabulous Easter Eggs Michelle. I agree, it's a shame on the price but I suppose if you did want to splash out then it's adorable! Yes is certainly a gorgeous egg and I would rather have one nice egg like this than 4 cheaper ones :) Maybe get your family to club together perhaps? 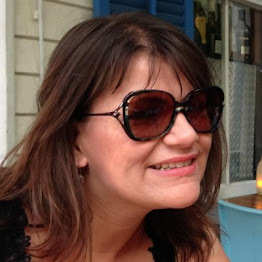 I haven't seen those Gemma I will have a look out next time I am in their Cardiff store. It is SO cute I agree, and yes yummy chocolate. 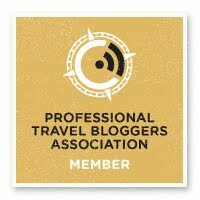 You deserve it Lucy ! I have to swerve Hotel Chocolat every time I pass it in town, if I went inside there's no saying what would happen haha!! If someone wanted to treat me to one of their eggs I wouldn't complain but I probably would be bankrupted if I regularly went in! 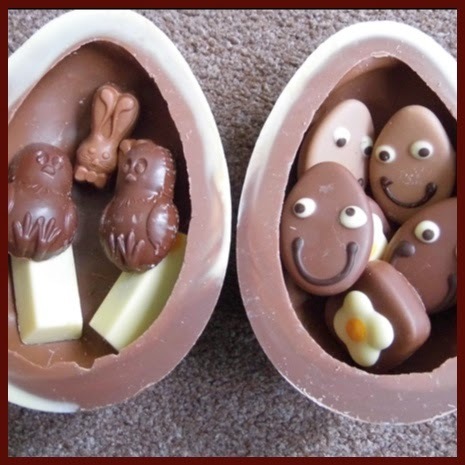 I love the sense of fun in this egg - the little bits inside are so cute! Yes and they were tasty too. I think the quality you get for your money is very good. It does feel like a vey luxurious egg. 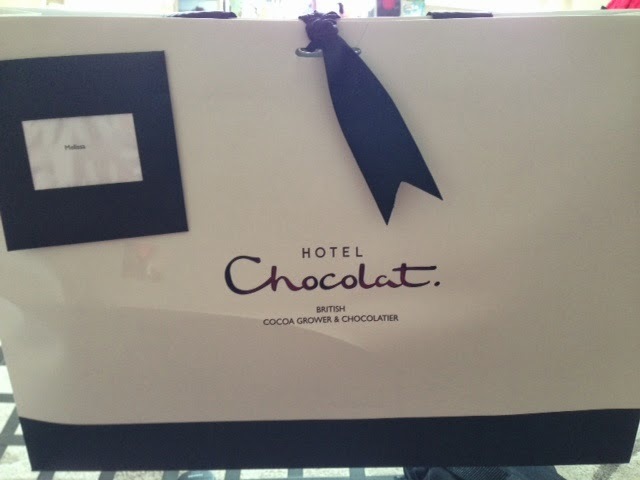 I adore Hotel Chocolat and my family and friends know they won't go far wrong with that as gift choice for me. This looks like a really fun egg. It is a very cute egg, and tastes amazing too. I am also a fan of Hotel Chocolat. I love the fun inside to your egg. One day I want to get an Ostrich Egg as they look amazing. Great to find good tasting easter eggs which are thick. The Ostrich egg sounds awesome !